Do you use social media to attract and engage customers? Are you wondering how you can use social media to market your business and drive sales? 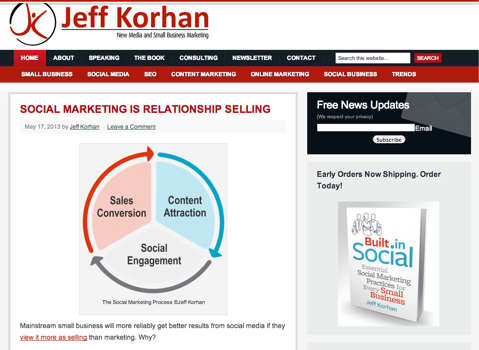 To learn how you can develop relationships with social media and content, I interview Jeff Korhan for this episode of the Social Media Marketing podcast. Jeff shares his knowledge of and experience with social marketing from running his own small business, and how you can implement it into your business. You’ll learn about the ‘Social Marketing Process’ and the importance of collaboration and cooperation. What did the experience of running a local landscaping company teach you about social marketing? When Jeff first started his local landscaping business, he had just completed 10 years in the corporate world and was fairly ignorant of how small businesses operated. He started to research and study the industry he was about to move into and discovered by accident that small businesses were less formal than the corporate world. Even back then, people wanted to get to know you. Today it’s something that can easily be done with social media. You’ll find out what Jeff discovered about consumers and why it was the key to getting his business off the ground. Jeff explains how going door-to-door led him down the road to content marketing. Not only did he spend a lot of time with customers, he also spent time reaching out to other people in his industry. The one thing they all had in common was that they all used Yellow Pages for advertising. This led him to explore other options to stand out from his competitors. You’ll discover what kind of advertising worked for Jeff and an example of an ad he used. Jeff figured out before the age of social media that he could get business by educating his consumers with his expertise. He started to look for a way to differentiate his business from local competitors and found out that there were a lot of unanswered questions. You’ll find out what you need to do to resonate with your customers to help build your business. Listen to the show to find out why you need to start thinking of how you can be the source of answers and how educating people can make you an authority. The first component is that content attracts attention. You should start at the beginning. Use content to attract the attention of people to help build an audience. You need to publish the information online, where people can find it. The second component is to engage with people and develop relationships using social media. Over time, once you have developed trust, this is when the third component, the sales conversion, almost becomes a byproduct if you’ve got a sales process in place and you know how to convert people to whatever it is you’re selling. Jeff finds that some businesses don’t have a reliable sales process. In his book, he writes about how to develop that process and if you have one, how to make it even better. Jeff's book, Built-In Social, explains how to develop a reliable sales process. When it comes to knowing what kind of content to produce, Jeff says to start with the most relevant questions you receive. Through analytics you can also find out what resonates with people. It’s about tuning in to your customers. You’ll hear about the different forms of content that people with small businesses can use and what the best type of content is for Jeff’s audience. Jeff shares how the engagement side is to try to pull back the curtain and show people who you really are. He believes people want to get to know you on a personal level. Businesses have to understand, without oversharing, that the more personal they are, the more engagement there will be. You’ll hear the various methods of engagement and how the same method you use to answer your telephone for business can be applied to social media with the same results. The last component is sales conversion. Jeff explains how he wasn’t formally trained in sales, but for him the biggest factor he found was confidence. You need to have a process laid out. It needs to show the potential buyer that you can take them to where they want to go. You’ll hear Jeff talk about his process and how it’s more than a series of steps. Listen to the show to find out what you need to get people down the sales path. Jeff explains how we are now our own media. When Jeff first started out 20 years ago with his landscaping business, he had to engage and connect with people in the media to have them write a story about him in a newspaper. Media was the influence, and the power was consolidated within those media outlets. Now we all have access to social media. 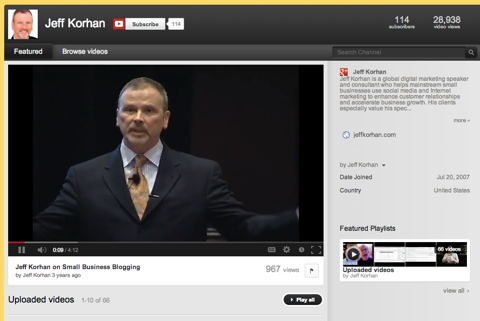 You can have your own television station (YouTube) and your own digital magazine (your blog). You need to have a strategy on how to use these to get people to tune in. With the access we have through social media, we can have our own television channel. Jeff talks about what people will tune in for and when they’ll tolerate ads. When you take the risk of being specific, that’s when interesting stuff happens. Jeff believes there is so much room left for small businesses to take advantage. It’s waiting for anybody to step up and do it. Listen to the show to learn why we are the future CNNs, NBCs and ABCs. Jeff says you can simplify your life by working together with other people. It helps to collaborate with customers because you can develop better solutions. When you create something on your own, you then expect people to buy it. Really what you should do is start with customers and collaborate with them. You’ll discover the advantages working with customers and also what you’ll achieve when you collaborate and cooperate with your competitors. Jeff believes that cooperation is the way forward. As a marketer, you need to start thinking of new ways to partner with people. In Jeff’s mind, social media is more than just media. It’s changing the way we will all do business and it’s creating an interesting dynamic. You’ll learn the best way to approach this, and as a result, you’ll make your business more relevant to the people you serve. Listen to the show to find out why you should invite your competitors when building a platform and how it can add credibility to what you’re building. I’ve recently started to listen to a podcast by Rick Mulready called The Inside Social Media Podcast. The Inside Social Media Podcast on iTunes. 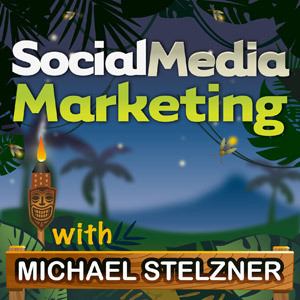 Rick does a great job of interviewing social experts—for example, Rick Wion fromMcDonald‘s, Scott Monty from Ford, Frank Eliason from Citigroup, Gary Vaynerchuk and Chris Brogan, plus many more. He asks people who work for the big brands to share what they do and how a small business can use it. If you’ve ever left a rating or review on iTunes for the Social Media Marketing podcast, I would like to say a big thank you. If you’ve not left a review yet, I’d love it if you could head over to iTunes, leave a rating or write a review. Remember we also have the voicemail hotline and I encourage you to leave your questions. Connect with Jeff on his website. 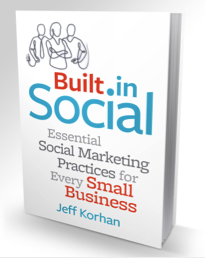 Check out Jeff’s book: Built-In Social: Essential Social Marketing Practices for Every Small Business. 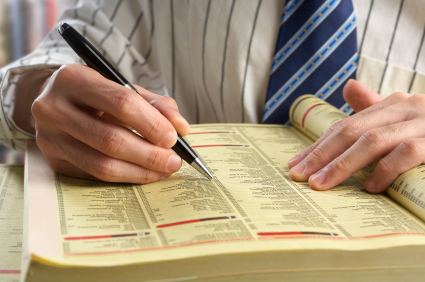 Discover more about Yellow Pages. Read this article on Establishing Trust: How to Build Relationships With Social Media. Check out Marcus Sheridan from The Sales Lion. Learn more about Reid Hoffman, the co-founder of LinkedIn. Listen to Rick Mulready‘s podcast, called The Inside Social Media Podcast. Check out the experts Rick Mulready interviews, such as Rick Wion from McDonald‘s, Scott Monty from Ford, Frank Eliason from Citigroup, Gary Vaynerchuk and Chris Brogan.